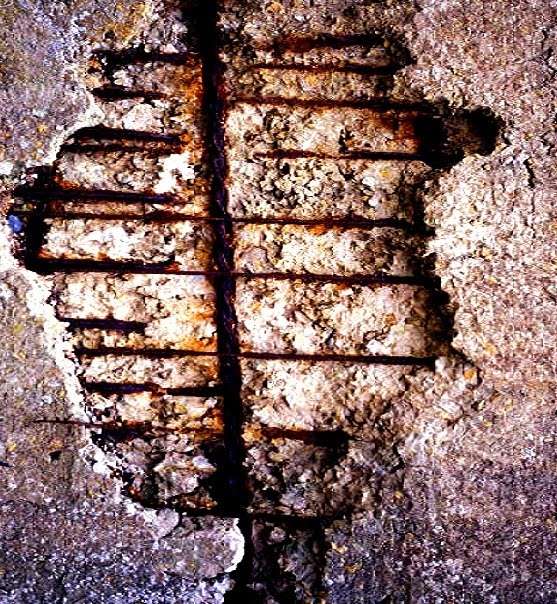 Which to Deal Cause or Symptom for Concrete Repair? A basic realization of cause underlying deficiencies in concrete is essential for proper evaluation of meaningful repair. If we can determine or understand cause of particular deficiencies, it is easy to choose appropriate repair techniques which leads successful restoration of concrete structure or member. Obviously proper repair will provide maximum life of repair which is the main objective of this restoration process. Now come to the point-‘symptoms’ and ‘cause’ of repair. Symptoms are deficiencies of concrete that is can be observed under naked eyes in most case they appeared as cracking, spalling, corrosion, discolor of concrete surface and access of fluids etc. In most case, they are consequence of internal/external causes. So symptoms/observations of deficiencies should be properly differentiated from actual cause or causes of deficiencies. Sometimes more than one cause may result one symptom and if we treated for one causes and another causes left untreated, the result will be temporary repair and very soon untreated cause will be expressed as some symptom. Sometimes one cause of deficiency results another deficiency say a case that cause crack may lead to corrosion of reinforcement, which will lead structural cracking and also dealmination of concrete. Dear reader we have provided information about cracking, spalling and delamination of concrete in our previous posts. So it is advisable to deal with causes not with symptoms as most case it lead to failure of repair process. Only when we know the cause/causes, we can make decisions about rationale repair system. The symptom, cracks can be resulted from above reasons if you treated for drying shrinkage and cause lies in freezing and thawing or due to expansion of foundation soil/shrinkage of the same(not listed above), the repair work will be failed. We can provide Anti-corrosion coatings galvanization of rusted metal by KF-G. Info shown on the footage is about galvanization of new metallic structures to prevent them from rusting. Galvanization provided by chemical way without electric treat. As a Corrosion Inhibitor meeting the requirements of ASTM C1582, which is sprayed onto the concrete. It chemically inhibits the corrosive action of chlorides on reinforcing steel and prestressed strands in concrete. It is a big difference.galvanized steel by Kalmatron® Admixtures. shows over dried concrete in a middle of desert with stable performance of impermeability restoration. This is a temporary solutions created by such as mono, poly, oily, Methyl Methacrylate (MMA), epoxy, bitumen, Elastometric Coating etc. based coatings even with premix of Fluorocarbon Based Polymer. With changing of ambient temperature, humid and direction of hydraulic pressure they loosing bond with supposed to be protected structure, cracking and blistering.